To avail of the coupon, simply fill out the information sheet found on the coupon page at PetCurean’s official website. After submitting the form, the actual coupon will be emailed to you. Only one coupon is allotted per household. Once you receive yours, just print it and proceed to any of the participating stores near you to redeem. The list of stores where you can buy PetCurean dog food products are easily accessible from the same page on the manufacturer’s website. 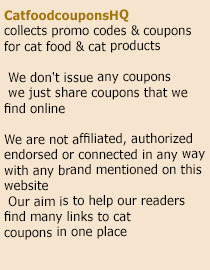 The coupon is also valid for cat food. Since 1999, PetCurean has been creating premium quality pet food that is way ahead of most economy brands. They create dog and cat food brands that are high in nutrition and big in taste. They take pride in the fresh ingredients used across their products. Each pack is also manufactured using no artificial preservatives and has zero by-products. With PetCurean, your pet will only enjoy real goodness. This entry was posted in Petcurean. Bookmark the permalink.